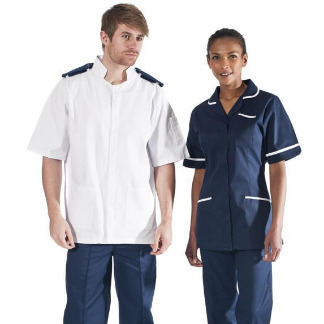 Manufactured in vat dyed polyester cotton which resists loss of colour on contact with most bleaches, and washable at 65 degrees. Our male tunic features a concealed full zip fastening, mandarin collar, epaulette loops and 2 hip pockets with additional beeper pocket. 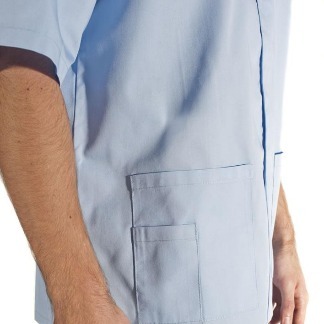 The double action back pleats allow for ease of movement making this comfortable to wear. 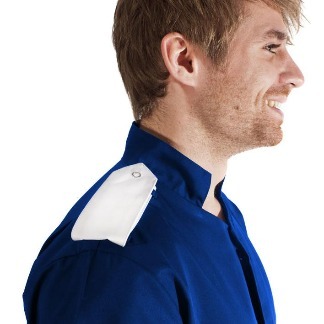 The addition of a key loop to the hip pocket and lined pen pocket to the sleeve, make this a practical garment for all healthcare and medical professionals.